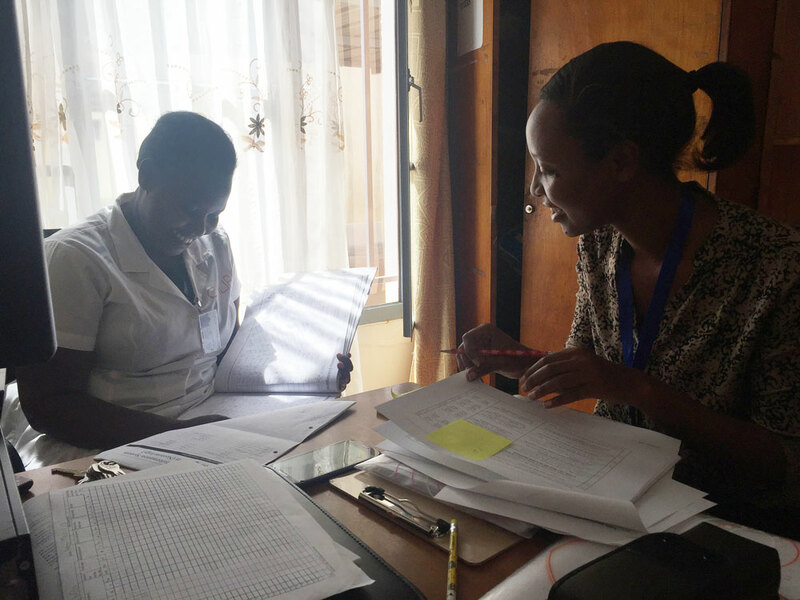 An enumerator surveys a nurse as part of a study on newborn jaundice in Rwanda involving Brilliance devices. We are excited to announce that in the last week, D-Rev’s Brilliance phototherapy devices were installed in sixteen hospitals throughout Rwanda. The installations were part of an initiative sponsored by Child Relief International (CRI), and launched in partnership with the Rwanda Ministry of Health (MOH), and will ultimately reach 46 public hospitals in every district of Rwanda. These are the first installations to date of Brilliance in Rwanda, and thanks to a grant from CRI, a rigorous study of newborn jaundice management and evaluation of the health impact of these installations is already underway. Baseline data collection began in June, and health impacts will be tracked through Spring 2018. The study is being led by Dr. Ketki Sheth, Assistant Professor of Economics at UC Merced, with assistance in-country from Dr. Lisine Tuyisenge, Acting Medical Director at the University Teaching Hospital of Kigali (CHUK) and General Secretary of Rwanda Pediatric Association, and Lameck Habumugisha, Study Manager. For more information about the study, please visit the its entry on clinicaltrials.gov. We are grateful for the support of CRI and MOH in scaling this program to reach every district-level and above public hospital in Rwanda. And we are also thankful for the comprehensive in-country training offered by our partner, Phoenix Medical Systems, and the excellent service provided by the local distributor in Rwanda, Crown Healthcare. By the end of this project, we expect thousands of newborns to receive effective treatment with Brilliance devices in Rwanda. We also hope that the results of the study will offer useful evidence to policymakers and other parties interested in using medical technology to improve newborn health in Rwanda and beyond.